A charity made up of former hospital staff has donated £7,000 of equipment to help patients undergoing heart surgery at Castle Hill Hospital. The Needed Urgent Remedial Surgical Equipment (N.U.R.S.E) charity has donated a Philips Lumify portable ultrasound machine which generates detailed images of veins and arteries. This mobile device can be used in surgical theatres but can also be used directly on hospital wards by surgical care practitioners, sending high quality images back to help clinicians plan surgical procedures such as coronary artery bypass. Since the N.U.R.S.E Charity was set up in the early 1980s (registered with the Charities Commission in 1991), members say they have raised more than £800,000 through fundraising events including the annual raft race on Beverley Beck, which take place next month. 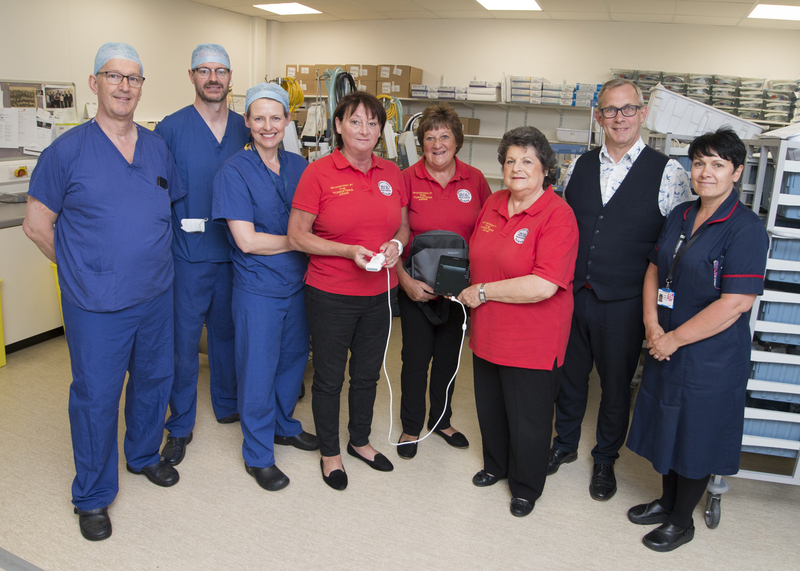 The monies raised have gone to support wards and departments across Hull University Teaching Hospitals NHS Trust, purchasing equipment from potentially life-saving scanners down to fans to keep patients cool. “After working in the NHS for over 40 years, I can appreciate how difficult it is to purchase or share resources, equipment which can aid a speedy, efficient and safe service during a patient’s time in hospital. The annual Raft Race is being held in Beverley in aid of the N.U.R.S.E charity on Saturday 21st July. For more information, visit facebook and search for NURSE charity.